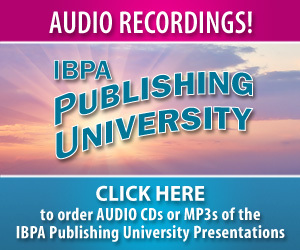 At last year’s IBPA Publishing University in Salt Lake City, I had the honor of presenting on outside-the-box book marketing ideas. The point was to explore ideas that other indie authors and publishers have used to successfully market their work, as well as ideas that could be adapted and built upon by attendees. Since that event, I know several people who’ve implemented the ideas we discussed or have come up with creative variations of their own. But, perhaps more importantly, a theme emerged from our subsequent brainstorming: connection. 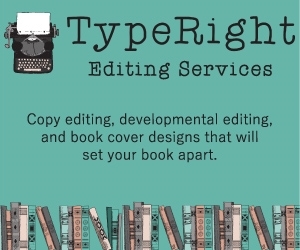 Because whether wearing a name tag that proclaims, “I’m an author!” or creating unique collateral—such as bookplates or gift cards, or hosting a themed book launch, or a “Tupperware” styled book party—the connection end game is the same. 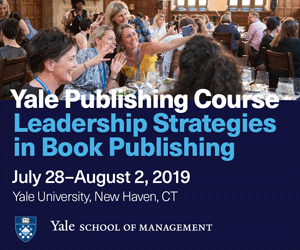 And we realized something more: The energy we tapped into at IBPA Publishing University didn’t happen in a single session, or from a single speaker. (I’d like to think I was that cool, but no.) That energy sprang from the connections that began between attendees, right in that conference room. Each spark of connection created more energy as participants made critical assessments between the suggestions and how each might implement them in their own work. And that just may be the ultimate value of a live conference. In subsequent ongoing conversations with attending authors and publishers, we’ve each had the opportunity to create deeper connections and more meaningful relationships. What began as random sparks harnessed more energy to ultimately become powerful currents. Many of us who’d never met prior to the event are still in touch on a regular basis by phone or online, offering referrals and recommendations, and even creating joint promotions. 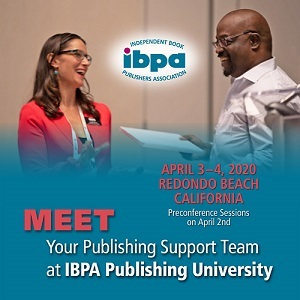 If you have the opportunity to attend the next IBPA Publishing University, strive to make these valuable new connections with other industry experts and fellow authors and publishers. Like so many of us, you’ll come away energized and armed with a network that will have lasting effects long after the last sessions. Distill this definition down to its essence and there you have it: Connection, the proverbial Rome toward which all marketing roads should lead. So, how do we harness this power and channel it to build readers? Think about today’s saturated market of reality TV, especially those that offer up competition between artists, and then ask the audience to vote. It’s not necessarily the most talented singer or dancer who wins, the artist with the “content.” Rather, it’s the artist making a connection with the audience through their likeability and authenticity; the artist who demonstrates their conviction to connect with the masses. Reality TV producer Simon Cowell called it the “X Factor,” and a subsequent new reality series took on the name. A lot of your live “X Factor” has to do with physicality—your body language. Specific areas to bear in mind include keeping your posture erect and forward, and your arms open instead of crossed, making eye contact, smiling, and speaking at a moderate but energetic pace, without whispering or shouting. But how does this translate to online marketing, where so much of our book promotion is done these days? As it turns out, easily! I like to refer to online marketing and social media as a digital cocktail party. You enter the party not knowing many others there, and hug the wall a bit until you get your bearings. You introduce yourself, get introduced to a few others, and have the good sense to ask those others about what they’re up to. As you get to know the people you meet, you share other things besides what you do, from restaurant recommendations to photos of your latest ski trip. The connections you make lead to other connections and so on, and so on. What you don’t do (well, unless you want to send the people you meet scurrying to refill their drinks, or, in our case, clicking to another website) is loudly announce your presence and proceed to talk to everyone you meet as if you were on stage and they paid to see you perform. They didn’t. Again, likeability and authenticity are key. 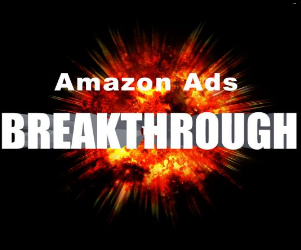 Bottom line: There are millions of powerful connections to be made, and they’re often just keystrokes away. How are you plugging in to your peers and readers? 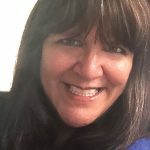 Shari Stauch is the creator of Where Writers Win (WWW) and has been involved in publishing, marketing, and PR for 30 years. She is the principal author of the WWW blog, and works with authors and publishers around the country, helping them find more readers and sell more books. 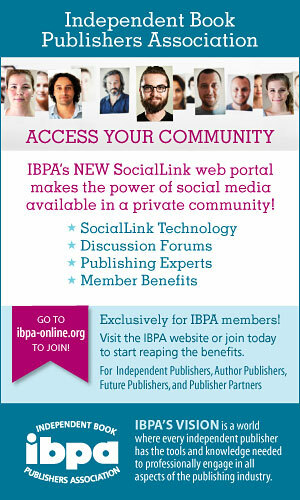 WWW’s innovative Winner Circle offers access to vetted book reviewers, live book clubs, and other curated connections developed specifically for authors, publishers, and book publicists. She will be speaking at the 2017 IBPA Publishing University on cultivating key industry influencers.